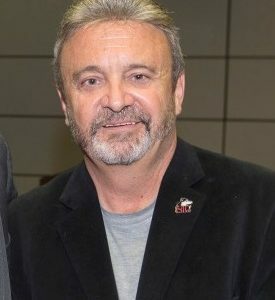 Ned Colletti’s 35-year career in Major League Baseball included nine as general manager of the Los Angeles Dodgers. A resident of California for the past 22 years who has spoken often about his career path to students at schools in that state, Colletti said the obligation – and opportunity – to give back is something instilled in him by his parents. Colletti is a Chicago native who became the first member of his family to graduate from college. His move from sports writing into the very top of baseball’s executive suites began in Chicago, where he served originally as assistant public relations director and publications director for the Chicago Cubs beginning in 1982. Given opportunities to grow and advance in baseball while with the Cubs, he made the move to California in 1994 when he was named Director of Baseball Operations for the San Francisco Giants. Two years later, he became the Giants’ assistant general manager and helped build a winning culture that remains in place today. In 2006, Colletti was named general manager of the Los Angeles Dodgers, where in nine seasons, the Dodgers made five postseason appearances, advancing to the League Championship Series three times. In 17 of his 19 seasons as assistant general manager or general manager, Colletti’s teams finished above .500 and surpassed 90 wins 10 times. During his nine years as GM of the Dodgers, he won more games than any of his National League colleagues. Colletti remains with the Dodgers today as senior adviser, a position that involves scouting, player development and a new opportunity to return to his “journalistic” roots as an analyst for the Dodgers local television broadcasts. While not working as a journalist during his tenure in baseball, he said the exposure and skills learned during that time served him well throughout his career.